I am one of many who have curly hair and suffer when its time to brush our hair. Now the Knot Genie was originally made for children; & I don't have any, but I hoped this could be the solution for me. My hair has a mind of its own most days, if I leave it down even to snap a few pics I end up with knots that look like dread locks. 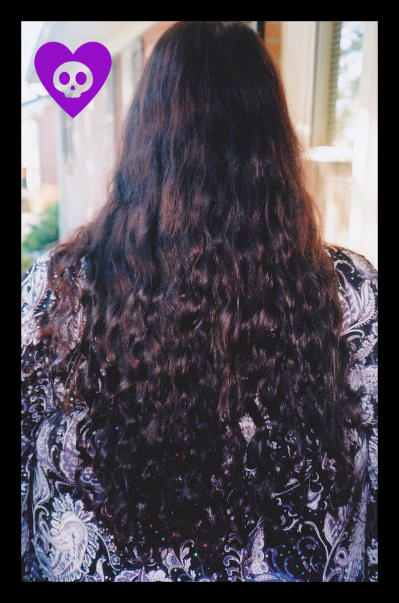 This is the best picture I have of the back of my hair down. 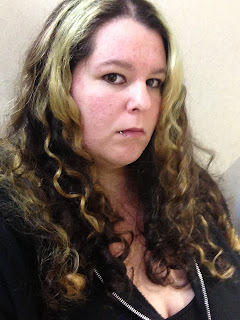 Its obviously from before I bleached my hair but I'm usually taking my own pic so this is all I have. You can see how it likes to curl and this was a good hair day. It used to take me at least an hour to brush my hair before getting in the shower and then another 15-60 mins after the shower to brush my hair. Even after all that brushing I would still find knots in my hair and have a wide tooth comb in my shower for those. I may not have any children but I was someone's child once and I have always had issues with my hair. I was very tender headed and I hated having my hair brushed. At one point my mom took me to get a "trim and style" and had me pick a look from the books. I did and then without my knowing told them to chop it all off. So they kept me turned away from the mirror and kept me talking and when I turned around My hair was short as a boys. I was very young at this point. I would say 3rd grade or so, I was traumatized. To make matters worse they took me to the playground at McDonald's to "make it up to me" and I was called a boy. So after that I was afraid to even get my hair trimmed because it took years and years to even grow to the length you see in the picture above. If I have short hair I have an afro and that's not fun but if its long it calms down at the top. I started to brush my own hair very early because it always hurt worse when others did it. I have snapped many a hair brush in my mop. So when I saw the knot Genie I was anxious to try it as I hoped it would be the answer. After getting brushed out it was very soft but you see I have that big hair look, well that's because you aren't supposed to use it on dry curly hair. - Never brush curly hair when it is dry! Brushing dry curly hair disrupts the curl pattern, making it large and frizzy. 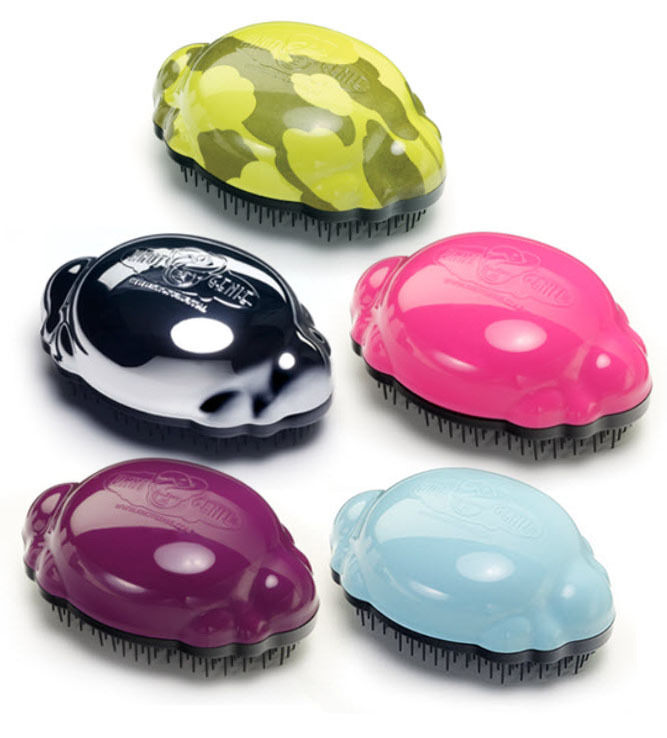 Use the Knot Genie to brush curly hair only when it is wet. - If you love that tight "springy" look, brush your hair in the shower or bath with the Knot Genie and then simply squeeze in styling product afterwards, being careful not to re-stretch the curls. - At night, pull your hair into a loose pony tail. Pulling the curls up or back helps contain the curls so you are not tossing them around all night. - Consider long hair. While many people think curly, hard-to-manage hair should be cut short, often that leads to a "mushroom" look. Extra weight pulls curls down and makes them gorgeous, especially when cut with long layers. You can see the difference from when I used it with dry hair and then with wet hair, its huge! I love this brush; I gotta say it, it surpassed my expectations. The Knot Genie comes in many colors and they add special edition colors at times. I want another one in Peaceful Purple. 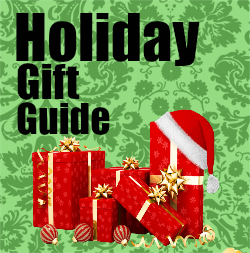 The Knot Genie retails at $19.99 and is worth every penny. AND they have recently released the Teeny Genie at $14.99! The magic trick behind the Knot Genie™ is one we are happy to reveal. It all has to do with the different lengths of teeth on the brush. 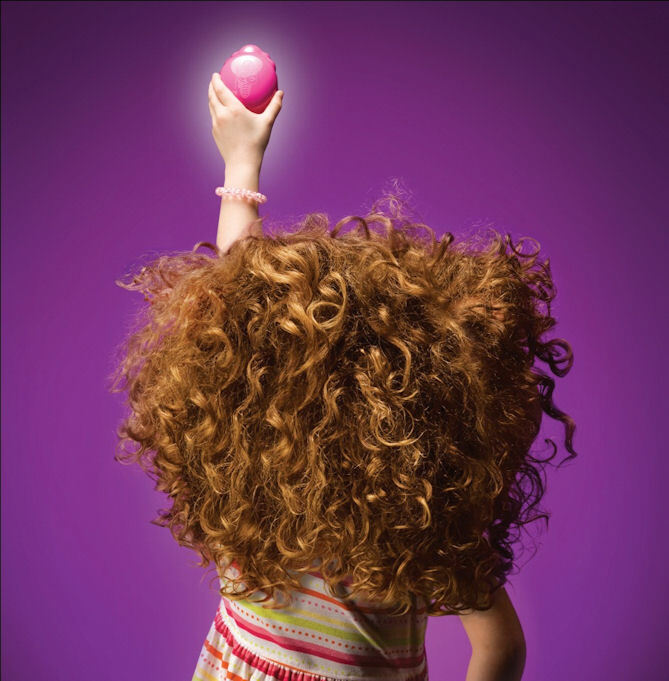 When brushing, they bend just right, to gently untangle the hair. And because of this lack of stress, the hair's cuticle stays unharmed... revealing the smoothest, shiniest hair you've ever seen. Handles like a dream. The fact that The Knot Genie isn't like traditional hair brushes goes way beyond the bristle side. Its unique cloud-shaped top fits the palm nicely, whether you're right or left handed. Which means it feels more like an extension of your hand than a grooming tool. And also means the brushing process is far more comfortable, gentle, and most importantly, done quickly. Voila! The amazing Knot Genie magically gets rid of knots. Not to mention complaining. Company Overview: The Knot Genie was created to not only to make brushing of even the most unruly hair effortless, but to create peace in households around the world at bath time. It's unique bristles act like little "fingers" gently untangling knots and tangles. Yes it really does work, and it doesn't hurt. It was made for kids but works on adults to! I love this brush and couldn't imagine going back to a normal brush. So don't traumatize your children like my mother did by giving up and chopping it and instead find the solution with Knot Genie because hair is just going to keep growing back. I received the above product in exchange for an honest opinion. The thoughts are completely my own and not influenced by others. oh I love your hair I have problems brushing my hair mine is straight but it gets knots all the time I think i want this brush, thanks for sharing! Awesome Review! This makes me want to try this on my daughters hair. I want one for myself as well. 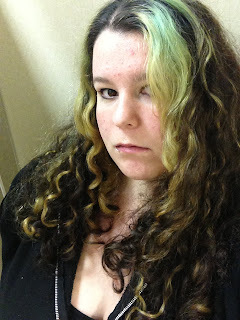 I have naturally curly hair too and my hair is like a rats nest half the time. I need one of these suckers! I'm shocked by the results. This is definitely something my daughter could benefit from. Totally amazing! You have such beautiful hair! Great review as always! 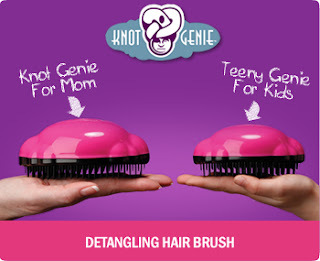 Thank you, I have a ton of nieces who can benefit from this Knot Genie! Great review. I'm definitely going to buy one of these for my daughter's tangles. I wonder what it does to straight hair.. The little red head makes me think of Josie. I think my kiddos will benefit from this, I got to see the demo in person, AMAZING! Great review, I'm going to have to get one I have four girls and two who have long hair and hate me brushing their hair cause they say I yank it lol. This would make my life so much easier! Sounds like a great product! 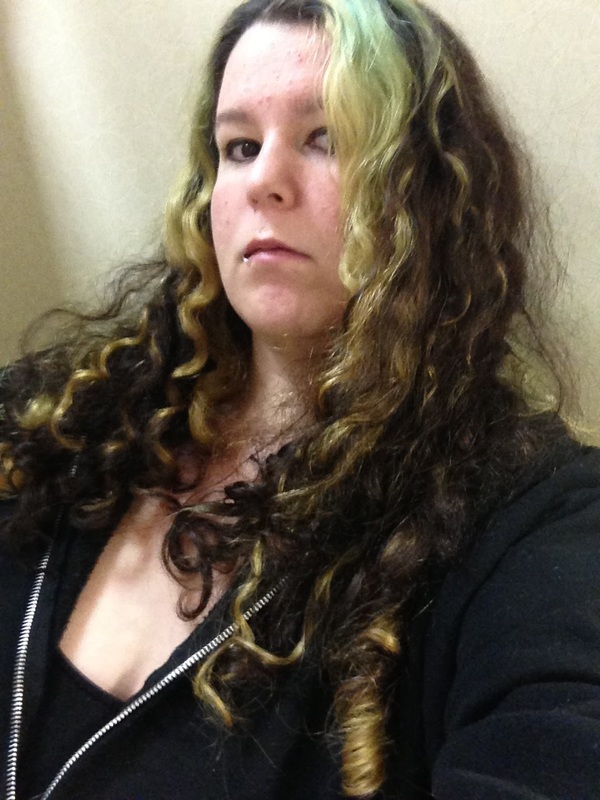 Seeing your pics makes me want to have curly hair to try for the same look. Mine is long, thick & coarse, and straight but poufy! I'm not one to spend $$$ on finding the miracle product to keep my hair in check, so if I'm not being lazy and want it sleek, I just reach for my flatiron. Other times, it's in a ponytail. Will remember this one if my hair gets too knotty. I have a similar brush, I can't remember what brand it is. This one looks of higher quality. I like that it comes in different sizes. I'd want a kids one for my purse! 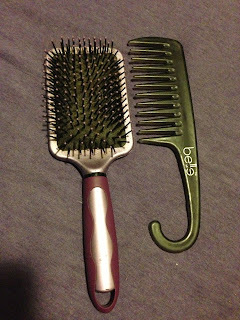 The one I have that's incredibly similar never breaks my hair. I absolutely love it.